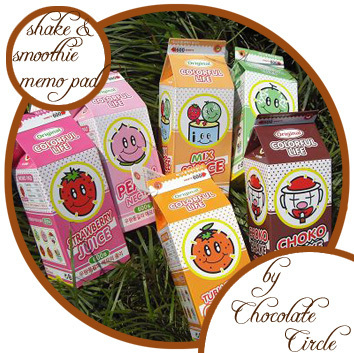 • Impress your colleagues and classmates by sketching, writing and note-jotting in one of these Brand New Fast-food Memo Pads! 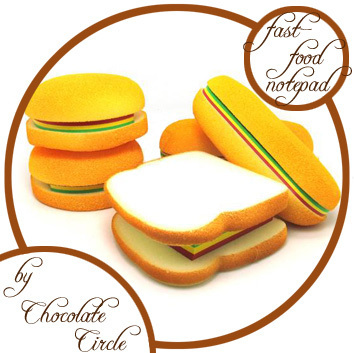 • Each Memo Pad is “layered with ketchup, cheese, lettuce in 2 delicious breads or buns”! 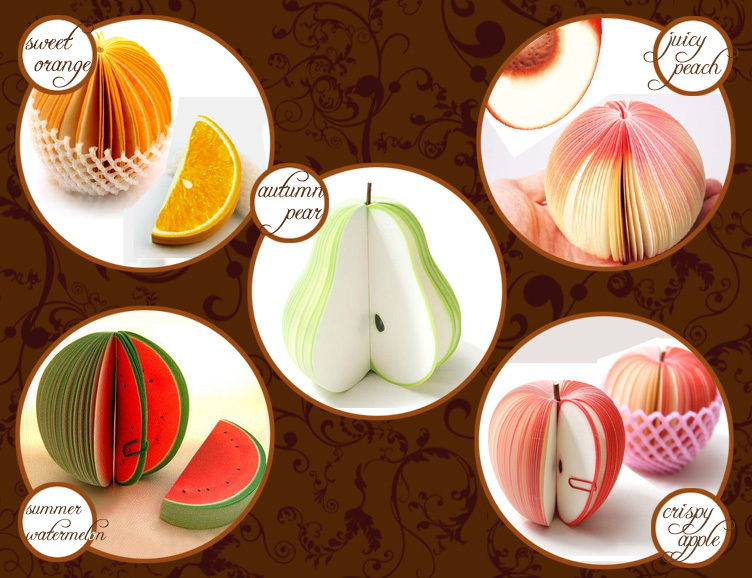 The perfect stationery to light up the desktop and even the room! 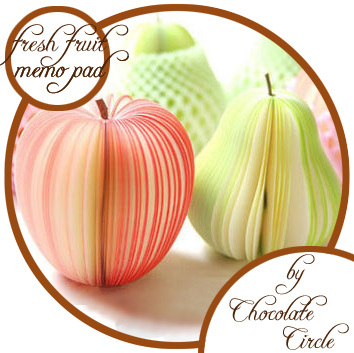 • In fact, inside each memo pad has over 60 sheets of red, yellow and green blank pages in between 2 squishy foams- 100% flexible for any kind of notes and contents! A cute gift for all ages! 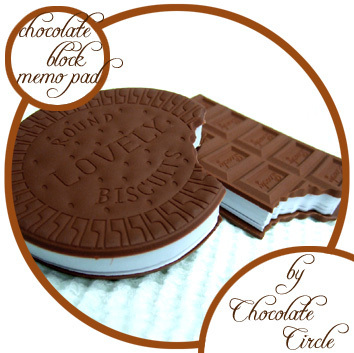 • Impress your friends and colleagues by jotting notes into this Brand New Bitten Chocolate Memo Pad! 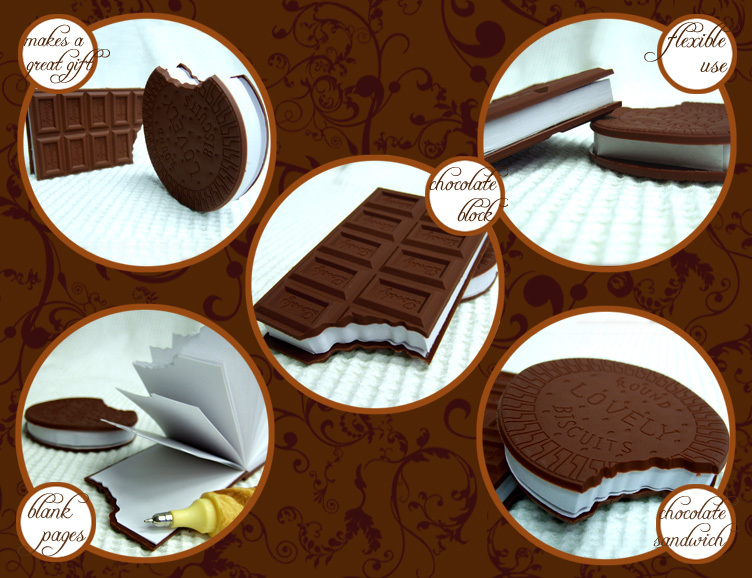 • Cover and back-cover of the Memo Pad are made of plastic in high details to imitate a chocolate bar! • Slim and compact; suitable for you to carry around in your bags! 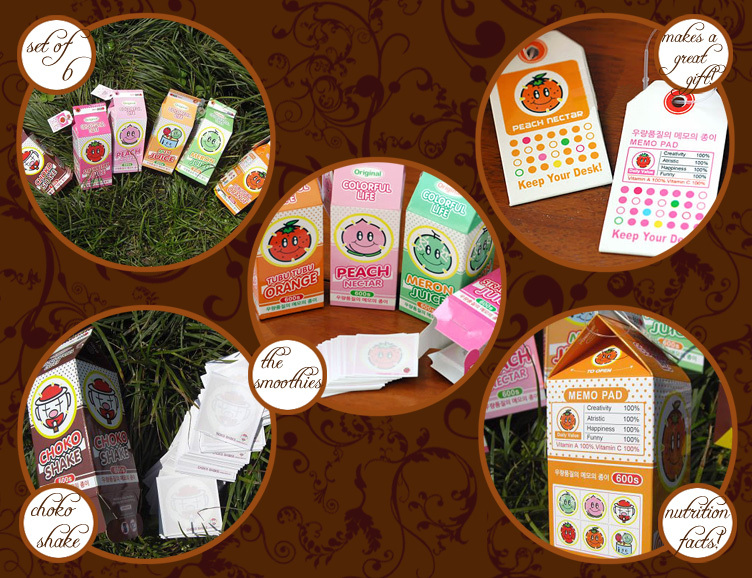 • Each Memo Pad consists of 100 blank, white-pages- 100% flexible for any kind of notes and contents! 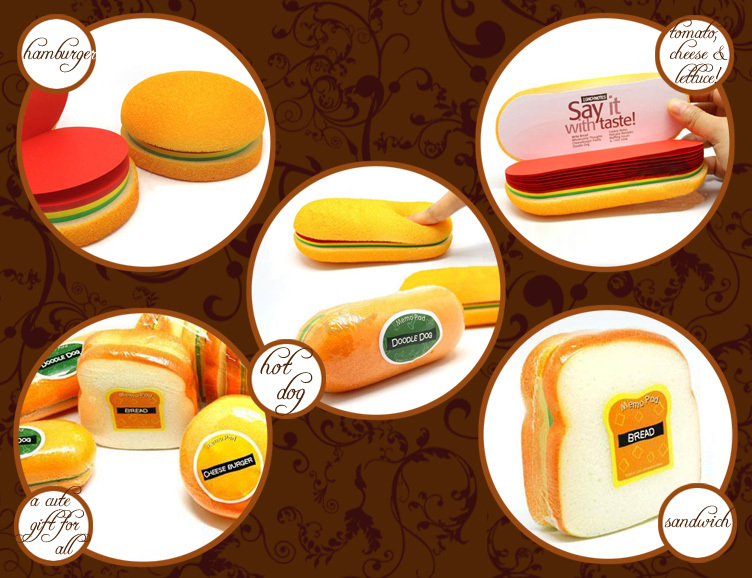 • Impress your colleagues and classmates by sketching, writing and note-keeping with one of these Brand New Breakfast Post-it Sets! 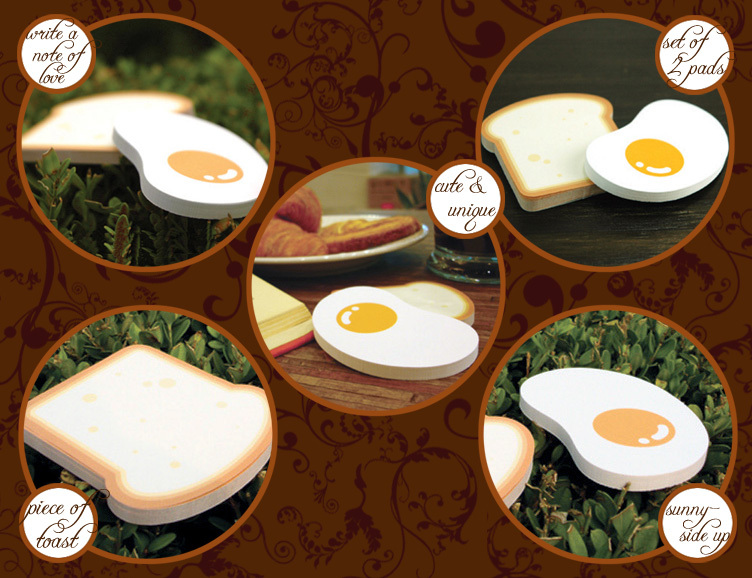 • Each set comes with 2 pads- a Toast and a Sunny Side up Egg that can sit on your desktop to give a great start for your day! Perfect for own use and as a gift! • Inside each sticky post-it pad are single -sided blank pages for you to jot down notes, names and numbers! • Slim and compact- suitable for you to carry around in your schoolbags and handbags! 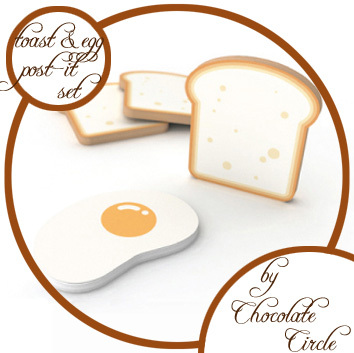 • Best choice as gifts for friends who love toasts, eggs and delicious breakfasts!